Hi, folks! We are so excited to share the news with you that our new album is nearly ready! 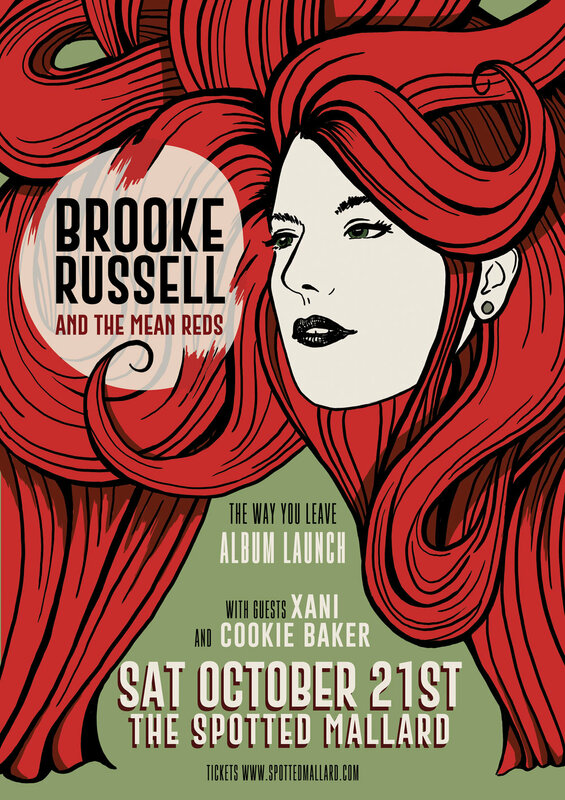 Written between Nashville and Melbourne, the second full length album from Brooke Russell and The Mean Reds, ‘The Way You Leave’ is due for release on October 18. Sweet, sultry and soaring, this new collection of songs document love, loss, friendship and regret and feature co-writes with Andrew Combs, Clare Reynolds and Tobias Hengeveld as well as covers of JD Souther and Tom Waits. The band will launch ‘The Way You Leave’ live at The Spotted Mallard on Saturday 21st October with special guests Xani and Cookie Baker, Tickets are on sale (see link below) and the album is available to pre-order from Bandcamp now and on iTunes from 5th October. Hope to see you at a show very soon! Feel free to get in touch at meanteam@brookerussellandthemeanreds.com.